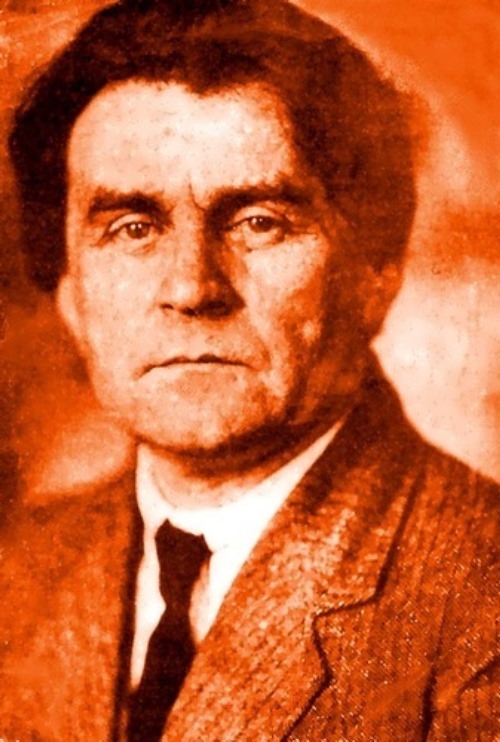 Kazimir Malevich was a Russian painter and art theoretician. He was a pioneer of geometric abstract art, the founder and leading artist of the Suprematist movement, and one of Russia’s best-known modern painters. His paintings are known to millions, but are understandable not to many. Some people are frightened and irritated by simplicity, others are admired and fascinated by depth and secret meanings. The artist did not leave anyone indifferent. 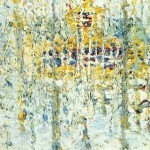 Paradoxically, his paintings look more modern than those drawn by his followers. 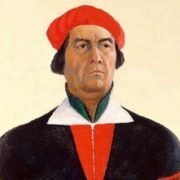 During his life time Malevich invented a new direction in art, gave it up, and most importantly – created one of the most controversial paintings in the history of painting. 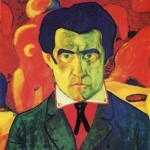 Kazimir Severinovich Malevich was born in Kiev on February 23, 1879. There were fourteen children in the family, but only nine of them survived – five sons and four daughters. Kazimir was the eldest child. 16-year-old Kazimir painted his first picture Moonlit Night. It was sold for 5 rubles and lost. At the age of 17 the boy entered the Kiev Art School, founded by the Russian painter Nikolai Murashko. But a year later, in 1896, the family moved to Kursk. 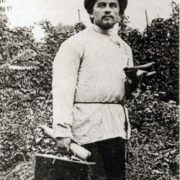 After moving to Kursk, Malevich got a job as a draftsman in the management of the Russian state railway. In 1899 Kazimir married, but soon family life, routine work in the management and provinciality of the city pushed the artist to Moscow. 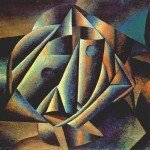 In 1910 he participated in the first exhibition of the society of artists The Jack of Diamonds – a large creative association of the early avant-garde. 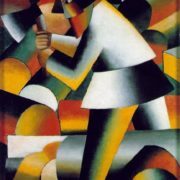 In the society Malevich met Peter Konchalovsky, Ivan Klyun, Aristarkh Lentulov and Mikhail Larionov. In the same year, the artist participated in the first exhibition of The Jack of Diamonds. 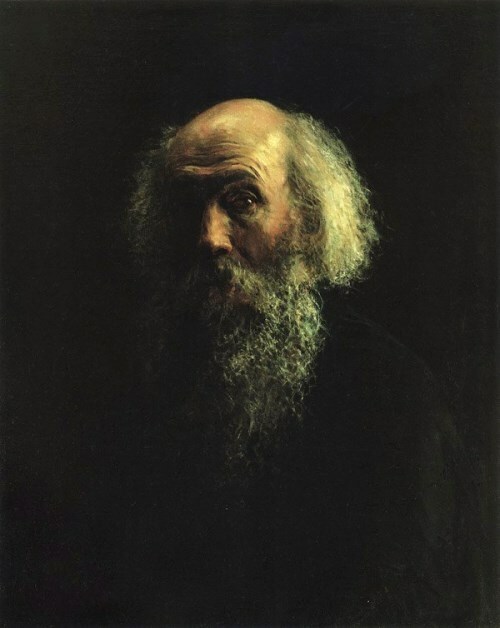 Later his paintings were exhibited at the Moscow Salon. 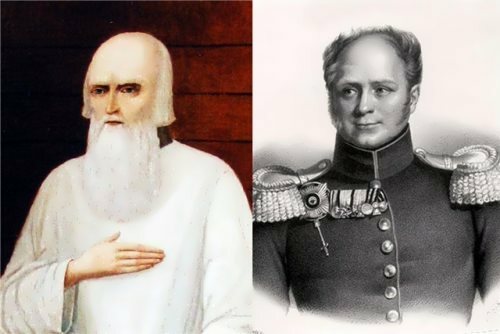 And in the spring they participated in the exhibition of the first association of avant-gardists of St. Petersburg, the Union of Youth. 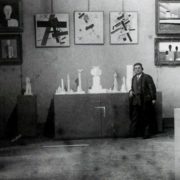 In 1912, Malevich went to Munich, where he participated in a joint exhibition of the works of the Union of Youth and the German expressionists of the Blue Horseman society. During that period, the artist joined the Donkey’s Tail association, which existed until 1913. 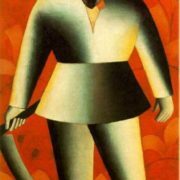 In February 1914, Malevich took part in scandalous “futuristic demonstration”, during which the artists walked on the Kuznetsk bridge with wooden spoons in their buttonholes. 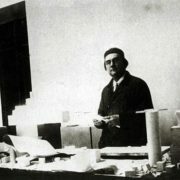 In December 1915 (according to a new style – January 1916), Kazimir exhibited 39 paintings at the futuristic exhibition 0.10. 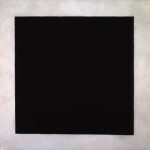 Among the exhibited works there was his famous Black Square. 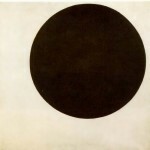 Soon it became obvious symbol of Avant-garde. 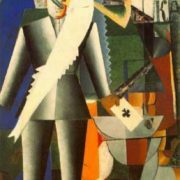 By the way, Malevich invented Suprematism, new direction in art, which was characterized by the rejection of figurative painting. Important concepts could be expressed using combinations of simple shapes: square, circle, cross, lines and points. 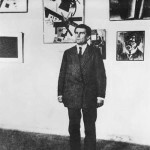 In 1919 Marc Chagall invited Malevich to Vitebsk to teach in the National Art School. In Vitebsk school they did not just teach art and architecture, but also organized the exhibitions, discussed philosophical questions and staged avant-garde performances, including a unique Suprematist ballet, which can be called the world’s first performance. 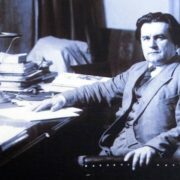 He wrote the book The World as Non-Objectivity, which was published in Munich in 1926 and translated into English in 1959. The authorities did not forgive him recognition in the West and travel to Germany. 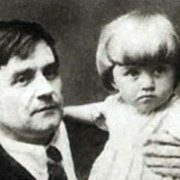 In 1930 Malevich was arrested, suspected of international espionage. The reaction of Western media and colleagues forced the authorities to release the artist in 2 months. 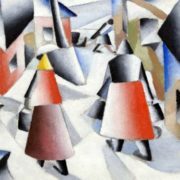 The hostility of the authorities to the artist grew: an exhibition of Malevich’s works in Kiev was criticized, and in the autumn he was imprisoned again. But in December Kazimir was released. In the last years of his life the artist returned to the realism. 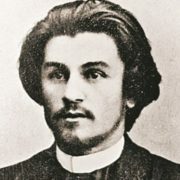 In 1896, Kazimir and his parents moved to Kursk. Three years later, 20-year-old draftsman married the daughter of a local baker. Their son Anatoly was born in 1992. Unfortunately, he died of typhus at the age of 15. And in 1995 their daughter Galina was born. 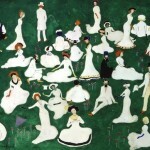 Then Malevich went to Moscow, and the relationship between the spouses worsened. Soon the woman fell in love, left her son and daughter, and moved to her lover. 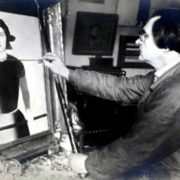 In 1909 the artist married Sofia Rafalovich, who gave birth to their daughter Una in 1920. While her husband improved the technique of drawing, she earned money for the family. In 1925, the family idyll ended: Sofia died leaving her husband with 5-year-old Una. 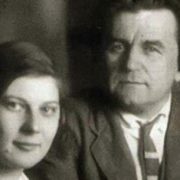 Two years later Malevich married Natalia Manchenko, who was 23 years younger than the artist. 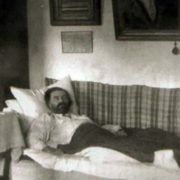 The great artist died on May 15, 1935, after a protracted illness that lasted several months. He was buried in the village of Nemchinovka, near Leningrad. 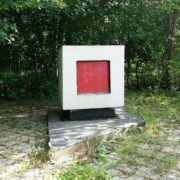 Knowing about the imminent death, he designed the last refuge – the Suprematist cross-shaped coffin. In the war years a wooden monument with a painted black square was ruined and the grave was lost. After the war, enthusiasts found the grave and immortalized the burial place. 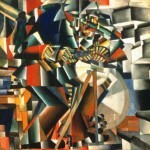 – The genius of Cubism and Suprematism twice failed the exams at the Moscow School of Painting, Sculpture and Architecture. 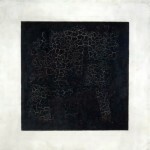 – Black Square, the fourth version of his magnum opus painted in the 1920s was discovered in 1993 in Samara and purchased by Inkombank for $250,000. In April 2002 the painting was auctioned for an equivalent of one million dollars. – On 3 November 2008 a work by Malevich entitled Suprematist Composition (1916) set the world record for any Russian work of art and any work sold at auction for that year, selling at Sotheby’s in New York City for just over $60 million U.S.